Halloween has always been my favorite holiday. Every year I try to come up with some new ways to decorate. I have been on the look-out for some Cinderella Pumpkins, but I have not had much luck. 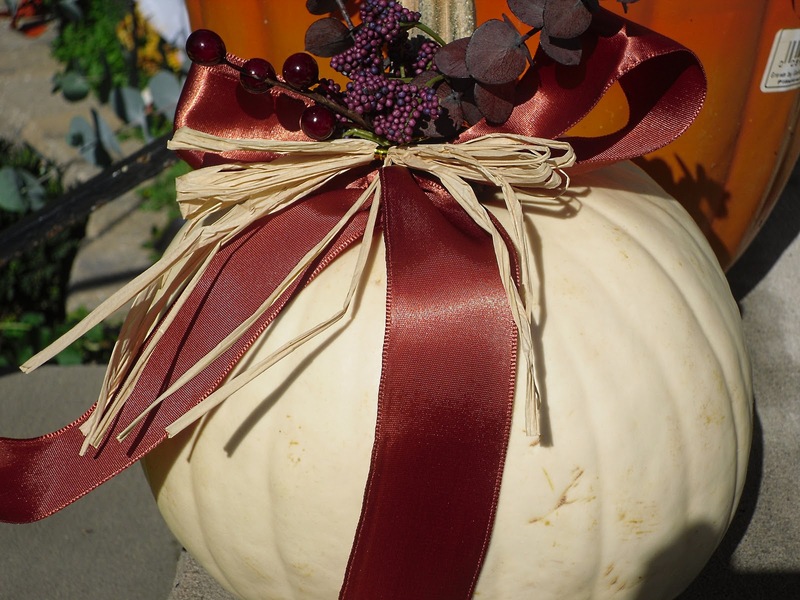 Here is a little white pumpkin I found and just added some copper ribbon and some burgundy and plum accents. The next pumpkin has a copper finish with some Spooky Sparkles! When I taught pre-school I would sprinkle this "magic dust" on the kids to keep the monsters away on Halloween! It works for 3-year olds. Take your pumpkin and tape up the stem. This pizza box came in handy. Spray the pumpkin lightly with metallic spray paint. 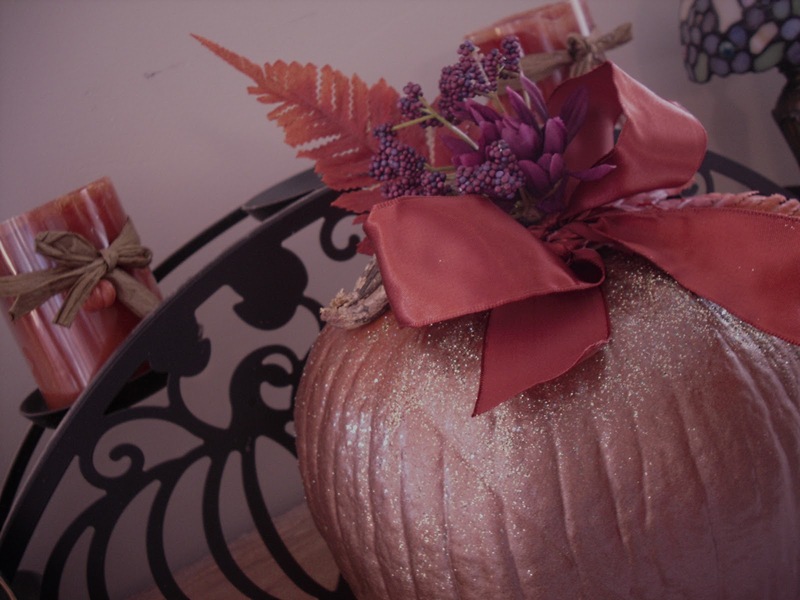 I think this pumpkin looks pretty just as it is, but you can add the copper ribbon. 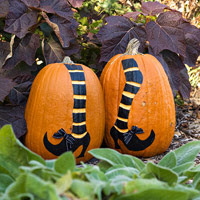 Click on the link below to make these cute pumpkins!